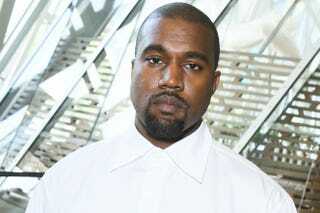 Kanye West checked out of UCLA Medical Center Wednesday, one week after being admitted for exhaustion. As previously reported on The Root, during a show in Sacramento, Calif., on Nov. 19, Kanye performed just three songs before going on a 17-minute rant about Jay Z, Beyoncé, DJ Khaled, MTV and a host of other topics before abruptly ending the show, much to the chagrin of the fans who had paid to see him. Ticketmaster refunded the price of the tickets, and two days later, Kanye canceled the remainder of his North American tour. He was hospitalized for his own safety after a welfare call by his doctor, causing many to speculate about whether he was suffering from mental-health issues. Kris Jenner told Extra last week that Kanye was suffering from exhaustion. “He's exhausted; he's just really tired. He's had a grueling tour and it's been a grind, so he just needs some rest,” Kanye’s mother-in-law said of his cancellation of the remaining Saint Pablo Tour dates. Kanye left the hospital under the care of his wife, Kim Kardashian-West, who sources say stayed by his side the entire time he was in the hospital, and his personal physician, Dr. Michael Farzam, who called 911 the day West was admitted to the hospital. We wish Kanye a speedy recovery. Monique Judge is a freelance journalist in Los Angeles. Follow her on Twitter.